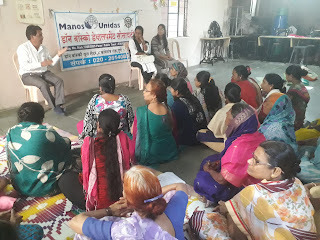 Koregaon Park (Pune), 24-January-2019: The Don Bosco Development Society, (Koregaon Park) organized a Legal literacy session at Nagpur Chawl slum in Pune. 26 women participated in this programme which was organized under the aegis of ‘Women Empowerment Project’ supported by Manos Unidas, Spain. Advocate Mrs. Yasmeem Shaikh was the resource person. Mr. Nagsen Chavan (Coordinator-DBDS) welcomed the resource person and the participants and outlined the objective of the programme. 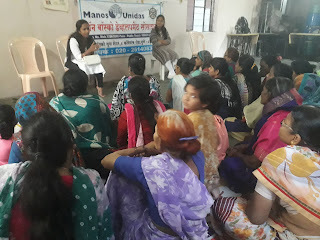 Advocate Yasmeem explained concept of women’s rights, gender equality, domestic violence at home and office place, divorce, maintenance rights, sexual harassment at work place, property right, marriage, inter caste marriage, new amendments of women rights, zero FIR, free legal aid etc. Then she covered provisions in IPC - 302, 420, 498(a), 375,376, 377,354. Session was very interactive and Advocate Yasmeem answered all the questions of the participants. 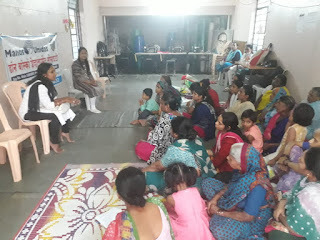 Program ended with the vote of thanks by Ms. Jyoti Sonwane (staff-DBDS).